...sneaky veggies for your fussy eaters! 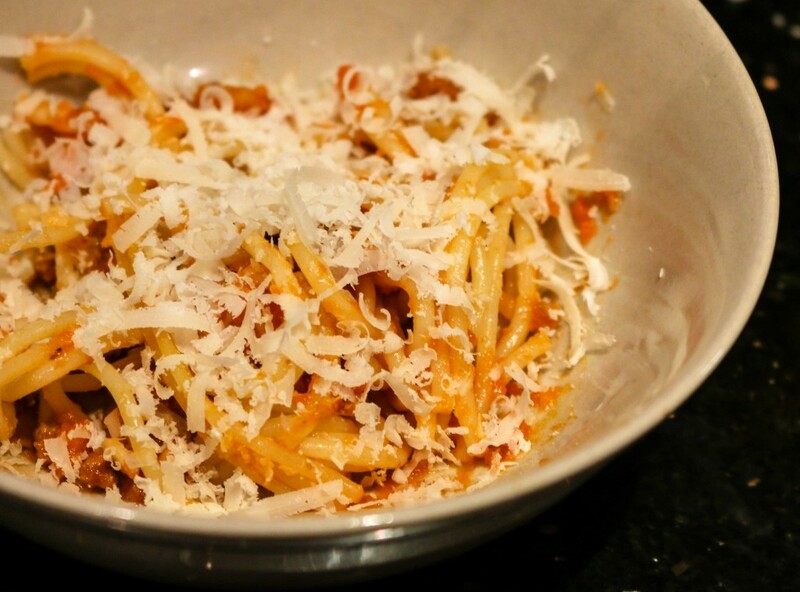 This is a delicious, nutritious Spaghetti Bolognese recipe with a twist…hidden veggies! I’m all for introducing whole vegetables to my fussy eater. I wrote about how we’ve been using a sticker chart with some success to get from NO VEGGIES to licking a pea to eating a carrot, and I think a love of veg is hugely important. I am their biggest fan. But the going is slow and in the mean time, sometimes (especially on a school night or after a busy week) I just need an easy win and to know my fussy boy is getting something really good and wholesome inside him. Hence this Spaghetti Bolognese recipe with hidden veg! Back in June I decided it was time to deal with Reuben’s fussy eating. Since the age of one he had refused to eat anything that wasn’t beige, with the exception of fruit, and absolutely no meat or vegetables (unless you hid them, of course). I went through a whole range of emotions from feeling like a failure and a terrible mother, to acceptance and cutting myself some slack (I highly recommend going with the latter, by the way). 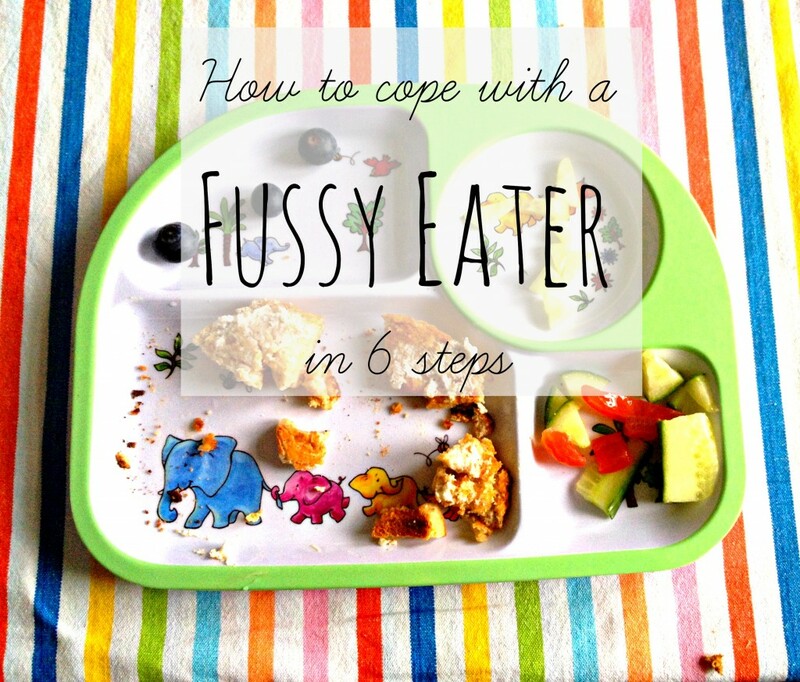 I wrote a post about How to cope with a fussy eater well over a year ago to help me deal with it, as really it was only me who was suffering. And, while I was happily going along with that process and there were some improvements (the addition of spaghetti Bolognese was a huge turning point), I felt at nearly 3 it really was time to try something new. Enter the sticker chart (here’s a free Halloween sticker chart I made yesterday!). 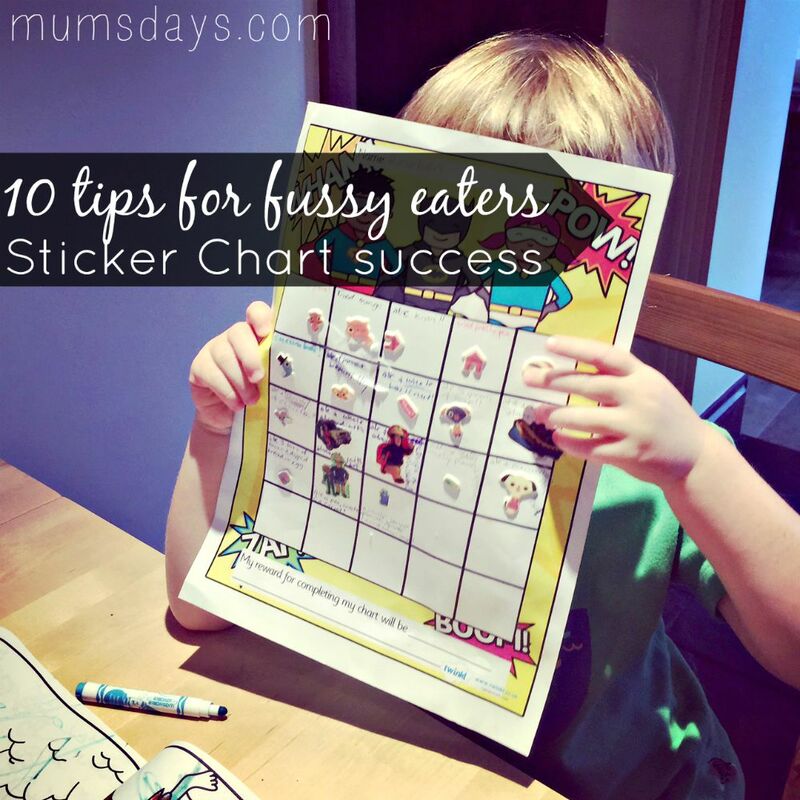 Reuben is an incredibly fussy eater but we’ve recently been having some success with a sticker chart. 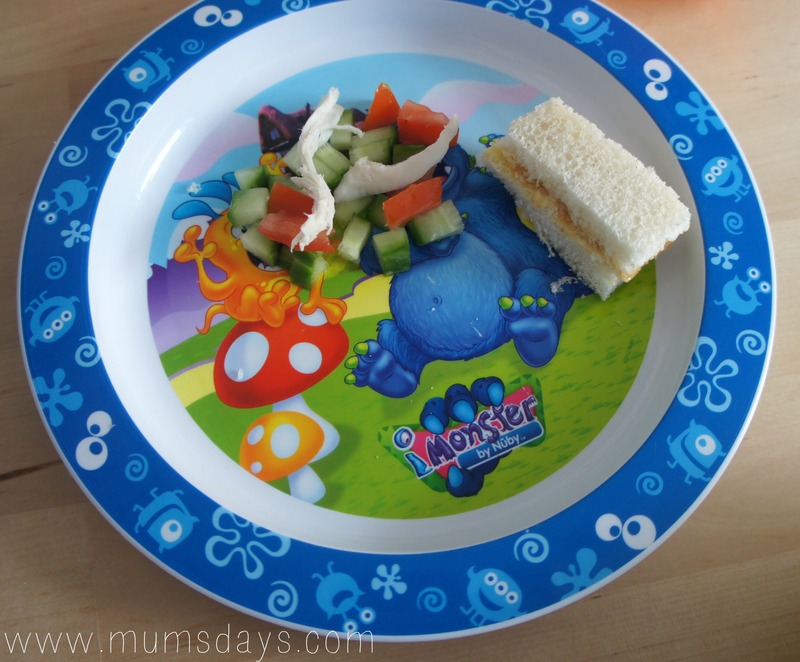 I’ve written about what we did and my tips for fussy eaters and succeeding with a sticker chart here…but basically, I think the combination of him turning 3, so his understanding had increased, and the power of a reward system has really paid off! There are tons of great charts out there but I struggled to find anything generic that could be used for anything. Many of the charts are related to toilet training or chores, not so much for little ones with a penchant for beige food (although I’m sure they’re out there). Whilst I was writing up my tips, I thought for fun I would create my own sticker chart. 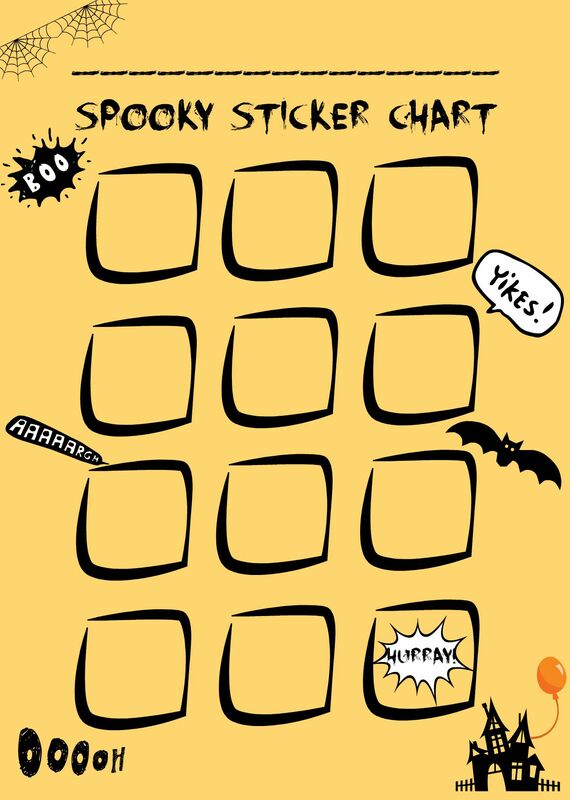 Since we’re now in the run up to Halloween, why not do a Halloween themed Sticker Chart. 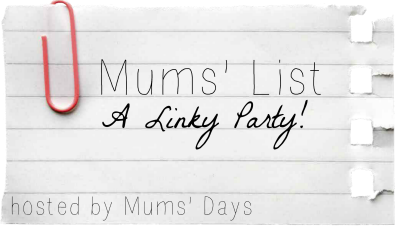 I’ve left it blank so you can use it for any reward system you like, not just for food, and left a space where you can write your child’s name. I guess the prize for completing it could be something like go to a Halloween Party or to go trick or treating? Or both?! Since there’s only 12 spaces, you may need to complete 2 lots of the chart before the big day! What do you need the power of the sticker chart to help you with?! I’ve been through a range of emotions today about picky eaters thanks to an AMAZING website I’ve just come across, called Your Kid’s Table written by Alisha Grogan, a paediatric occupational therapist. 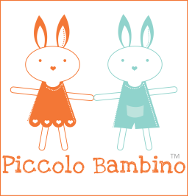 The site is a wealth of fascinating information about early child development, weaning, sensory play and helping picky eaters. Starting with this article, 5 Reasons Kids Refuse to Eat, it has completely opened my eyes about what could potentially be causing Reuben’s eating habits. I’ve mentioned before that Reuben eats a very limited amount of food (unless it’s junk or pudding) – it’s not the quantity that’s the problem but the variety. He’s definitely a hungry boy but despite the large array of food I put in front of him, he would (and does) eat toast and fruit for every meal. I try to not let it bother me but it’s bubbling under the surface all the time just waiting for some PMT to bring it out. One of the things that definitely stood out from Alicia’s top 5 was her description of Sensory. I think Reuben could have this! It would explain why he won’t even touch stew or mashed potato, and would also explain his issue with have wet things (that he will eat, like porridge or scrambled eggs) on his hands or clothes. Alisha suggests that to get over this kids should do lots of sensory play and playing with food to get used to different textures. 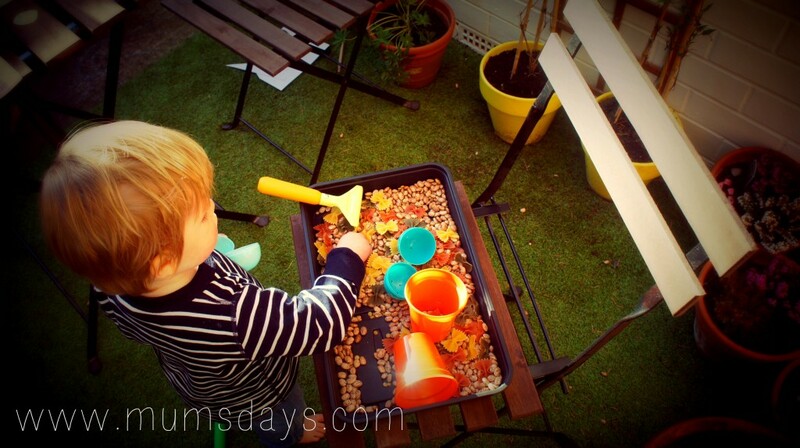 One of things you can do is the good old sensory bin – do you remember I did one with Reuben back in Easter time? She has a bunch of ideas for both wet and dry sensory bins here, many of which I bet you have in your house right now! But she also mentions more physical things like this awesome looking Sensory Pillow Mountains because “Movement and exploration are also key components to many more sensory play ideas”. I had no idea but I’m well up for that on Saturday morning! She also suggests that after a meal, any uneaten food should be played with. We did this yesterday with Reuben’s ‘chicken salad’. There was no way on God’s green earth he was going to eat it, but having it on the same plate and then playing with it was totally progress! Once he had finished his sandwich (this photo was a bit of an afterthought and he’d already eaten one of them), we lifted it up and dropped the pieces, and then I got him a pot and moved some bits to it, trying to encourage him to count. He wasn’t that interested but he did touch it and I felt it was a start! It’s going to be slow going but at least I feel like I have an actual strategy! Thank you Alisha, your site is a veritable goldmine. Bedtime reading for the next few months?! Do you have any picky eaters? Have you had any success with introducing some of the ideas above and getting them to eat more?! Or are you with me and going to give it a try? I’ve mentioned it before many times (here, here and here to name a few) that Reuben is a fussy eater. He’s just got worse too as he now won’t eat the little Annabel Karmel pasta shells I used to be able to hide veg and meat sauces in. It has been a LONG time since he was willing to eat the quinoa dishes I used to make him or snack on avocado. How I miss the days when people used the take the piss out of me for feeding him such healthy dishes! Now he will eat toast or a sandwich (but mainly picks out the filling unless it’s something like cream cheese), scrambled eggs, porridge (“podge” as he calls it) or fruit. He’ll also eat nearly all junk food (as long as it doesn’t have any nutritional content, so fish fingers are out) and LOVES cake/chocolate/biscuits/dried fruit/cereal/sugary-ness. And, yes, it does make me cry from time to time! But then I read something that reminds me that it is just a stage and if I’m consistent, he should come out the other side agreeing to eat more than just a turkey twizler. I must stay strong! a) He’s growing. He’s healthy. And apparently his little stubborn body is making sure he gets everything he needs. b) He can definitely tell when I’m anxious. I need to stop pacing around him being obviously anxious as, according to Super Nanny, this causes stubbornness and anger in your little one. I can concur. 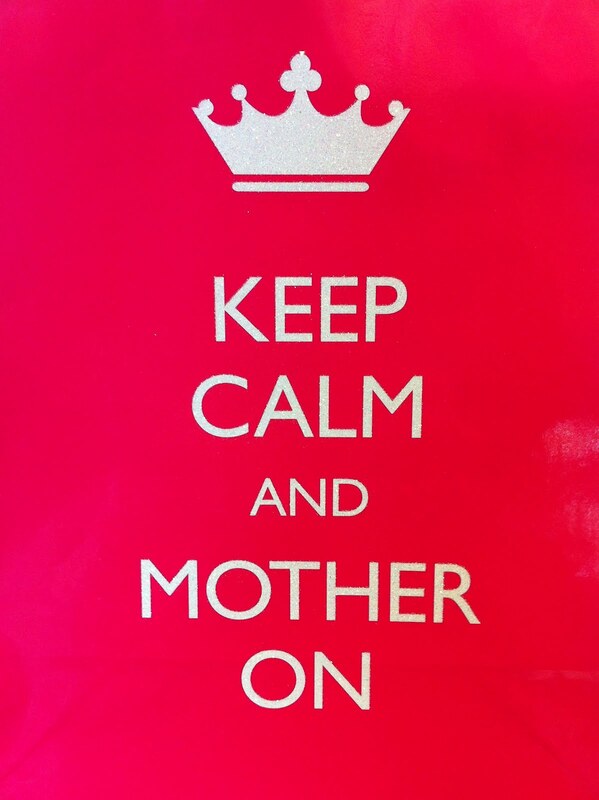 c) Super Nanny also says getting angry can have a lingering impact on your child for many meal times to come so concentrate on keeping calm (or learn how to calm down if you do get angry) and don’t take it personally! b) Make time to do it together – Reuben loves to make juice and will drink it regardless of what is put in – spinach, cucumber, kiwi. Maybe, just maybe, he’ll start to eat a salad if he helped to put the chopped up ingredients in a bowl and stirred if for a while??? c) play with food – I’ve mentioned before some research by Ella’s Kitchen that kids who play with vegetables (but not fruit) are more likely to eat it at meal times. I’m thinking an edible sensory box? 3) Don’t spend more than 10 minutes prepping – kind of goes a little against point 2 but I like this idea (again from Super Nanny) as I’ll be less frustrated if something doesn’t get eaten but also the healthiest things tend to take less time to prep anyway! 4) Accept it for now – a lot of advice out there is for people with toddlers who can be reasoned with…for example, Parenting says to give them one thing they will eat every meal time and say to have 1 bite of everything else. Great idea as this over time will get them to develop a taste for the other things. However, despite my best efforts, Reuben isn’t at the reasoning stage. I encourage, Reuben even says the word “try” but nothing passes his lips. I shall persevere but I’m not yet sure when I can say to him ‘just 1 bite’ and he’ll do it. 5) Encourage but don’t push – as mentioned in the point above, encouraging is good. However, I have been known to try and put food in his mouth in the hope he might taste it and realise how yummy it is. This is totally the worse thing I could ever do and results in a tantrum, which is upsetting for both of us. Live it, learn it and stop trying to do it again! 6) And if it does turn into a disaster, don’t feel guilty – Baby Centre says this happens from time to time but you should learn from the experience and approach the next meal time with positivity. I feel calmer already! 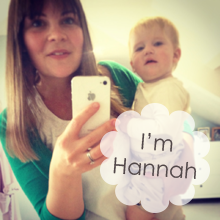 Do you have any tips for coping with a fussy eater that might help me cope? !